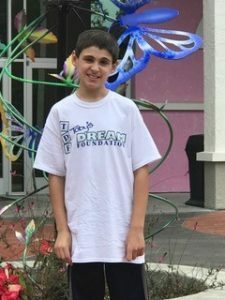 When JT, our 11-year-old Dreamer from Franklin, Virginia, was interviewed by his volunteers they learned he was dreaming of one day visiting all the amusement parks in Orlando, Florida; where he could not only experience the superheroes and character’s he loves, but also experience it with his family by his side! 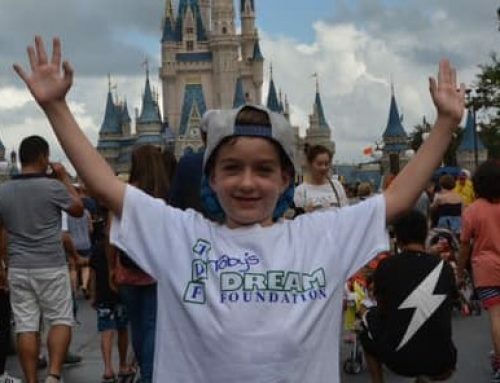 Toby’s Dream Foundation helped to make JT’s dream come true when we sent him on the ultimate family vacation to experience everything he loves! As a first-time flyer JT was very excited about his flight experience. JT’s mother confessed that the flight was almost too short for him. 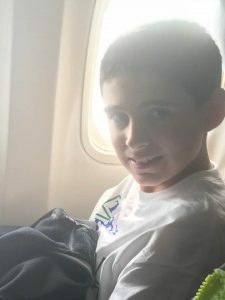 He immediately snagged a window seat, so he could watch all of the planes coming and going as they waited for their turn to take off, and really enjoyed watching all the clouds pass by while they were in route. No sooner had they landed and checked-in, at Give Kids the World Village, and they were off to the parks for the real fun and excitement to begin! JT and his family explored all the parks they could fit into their week-long stay. 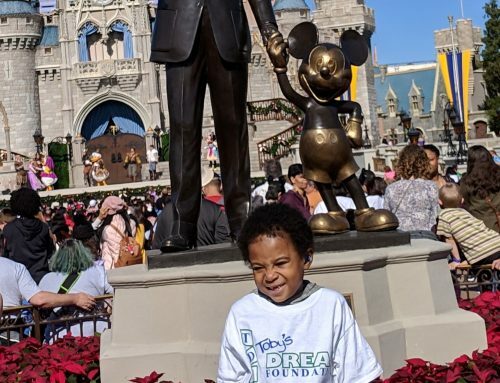 While in Orlando, they experienced the enchantment of Magic Kingdom, examined fantastic creations at LEGOLAND, saw characters from his favorite movies at Hollywood and Universal Studios, checked out Sea World, and explored Animal Kingdom! There were two parks that stood out to JT’s mom as their favorites, Universal Studios and Animal Kingdom. Animal Kingdom really took JT and his family by surprise! JT’s mom confessed that they went there to kill some time one day and ended up staying because they really loved it. 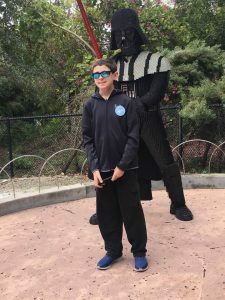 His mom explained, “Animal Kingdom had a lot of great rides, we loved looking at the animals, and just took the time to sight-see together.” While at Universal Studios JT rode all the 3D rides and met his favorite characters, the Transformers. 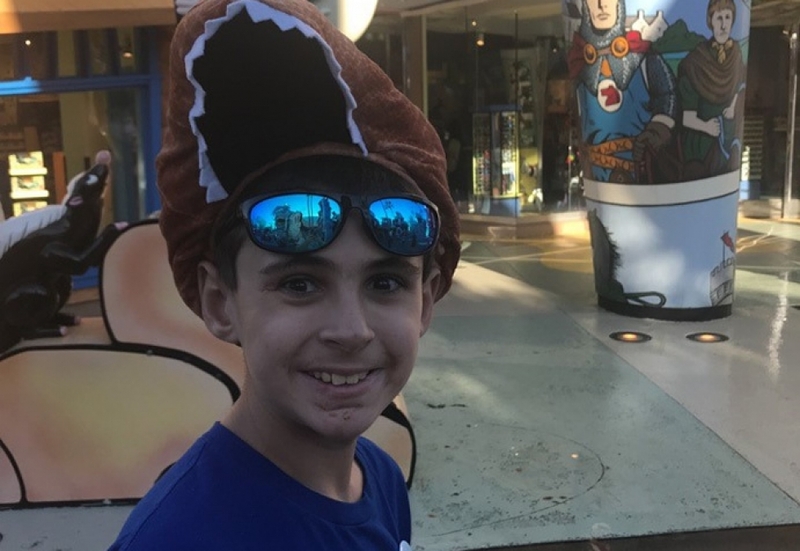 JT loved Universal Studios so much they went back for a second day of fun! During their downtime, JT and his family enjoyed all the highlights Give Kids the World Village had to offer. 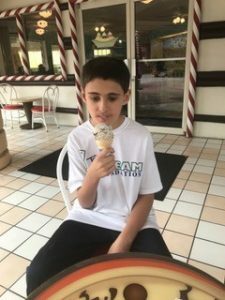 JT is a big pizza lover and was most excited to have pizza and ice-cream morning, noon, and night. 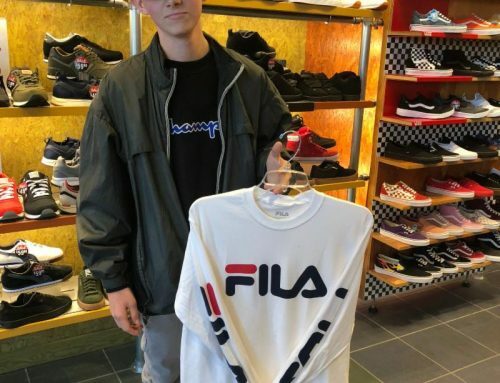 When he and his family came back from the parks, during the evening, they were excited to find out that the fun didn’t have to stop as there was a wide range of activities for all ages! 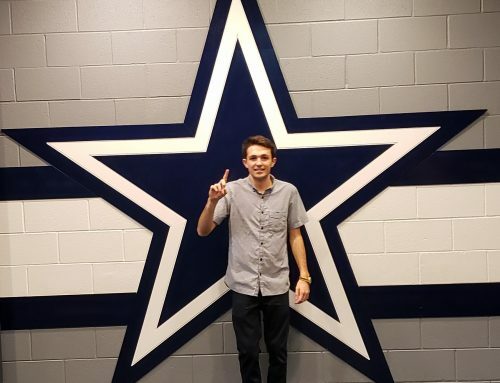 JT enjoyed the game room the most; playing pool and bowling with his dad and younger brother was a highlight. All in all, during their stay, JT and his family felt very welcomed and at home at Give Kids the World Village. 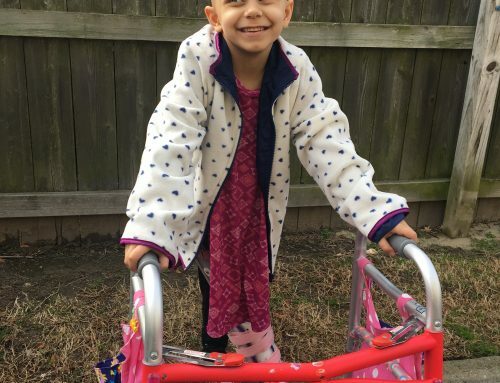 Toby’s Dream Foundation knows too well about the reality of what happens to a family when one of their children is handed a diagnosis of a life-threatening illness, it often forces the family to be apart for long periods of time. We are so happy we could give JT and his family the opportunity to experience the family time they all needed. A very special thank you to The Camp Family Foundation in Franklin, VA for helping us make a dream come true for JT. Tomorrow begins with a Dream… for the children we serve.